Climbing up the Palani Hills, this little plantation named Rajakkad is like a breath of fresh air after the heat of the plains in Southern India and much worthy temple viewing in Tamil Nadu. 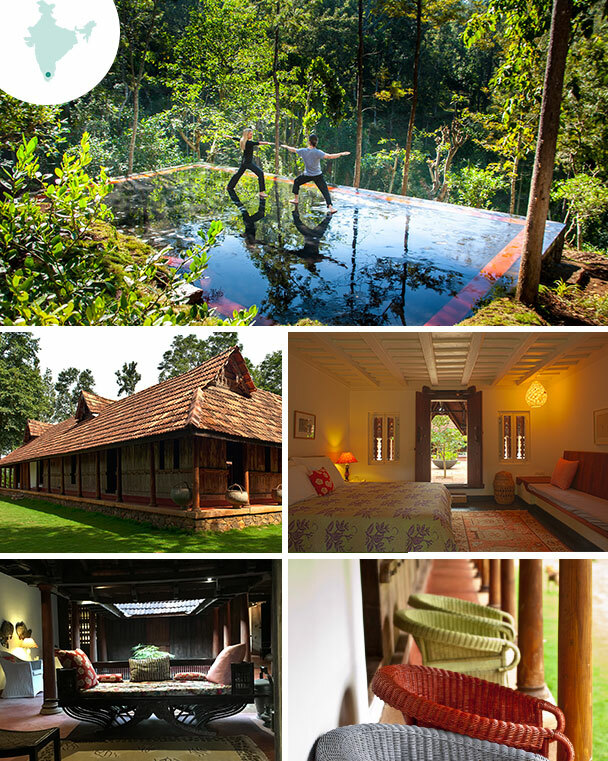 A tea planter’s house which is utterly charming, it is a must-visit place post touring. • The house is approached via an avenue of royal palms and is built round courtyards and pools. • The verdant, luxuriant gardens are full of jack trees, red cedars, tamarind and silver oaks. Pepper bushes, robusta coffee plants, lemon and lime trees, hibiscus, bougainvillea and oleander abound. • The food is home-produced, imaginative and served to perfection. • Activities include yoga and massage in the woods and walks to key viewpoints. • The estate is home to a huge number of migratory and indigenous birds – a veritable birdwatcher’s dream. • A haven of calm, it is the perfect place to unwind. 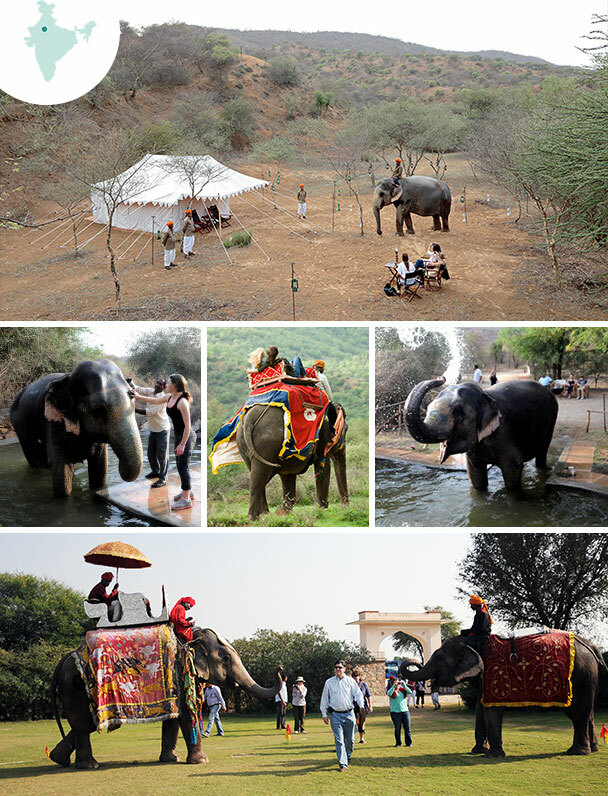 Although the Supreme Court of India has banned the domestication of elephants for leisure purposes, many of these remarkable animals are still used for ceremonies and to carry tourists to places such as the Amber Fort in Rajasthan. Often overloaded and not especially well treated, they spend too much time walking or standing on tarmac rather than on the soft ground outside the cities. • Dera Amer camp has become a small sanctuary for some of these pachyderms, providing them with a protected environment on the edge of Nahargarh National Park. • The ellies depend on human interaction, having lived with humans since birth, and here you can ride, bathe and decorate them but in their natural environment. • The camp is only thirty minutes outside the pink city of Jaipur; you stay under canvas in handsomely appointed tents surrounded by the Aravali hills and the sounds of the bush. • After a walk through acacias and ravines you sip drinks by a sunken fire pit and dine under the trees whilst lanterns with soft flames and candles in the sand make pretty patterns of light. • Breakfast is served on the polo lawn and followed by a jeep safari or a ride. • Highly energetic, affable and involved hosts make this a very special place to stay.